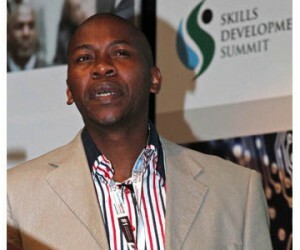 South Africa’s skills shortage is a national crisis. As a result, both the private and public sector are unable to fill the available positions within organisations across multiple sectors, as local citizens lack the necessary skills needed to take advantage of these employment opportunities. To address this, Government has drafted the National Development Plan (NDP) Vision 2030 to tackle the immense skills challenges facing South Africa’s young democracy. According to Dr Vuyokazi Mahlati, President of the IWFSA (International Women's Forum South Africa) and member of the Presidential National Planning Commission, who was speaking at the 4th annual BHP Billiton Skills Development Summit in Tshwane on Thursday, the NDP is entrenched with the values of South Africa’s Constitution and will ensure a united country, where all citizens are able to be active participants in their own development. In explaining why Vision 2030 was developed, Mahlati tells a story about Thandi, an 18 year old African women living in a rural area of South Africa and what her life chances are. “There is a 13% chance that Thandi will obtain a Grade 12 pass in order to enter university. As she is an African female the actual chance of getting a university pass is 4%. Let us assume that Thandi passed matric but did not go to university, her chances of getting a job in the first year after high school is 13%. Her chances of getting a job in the first five years out of school are 25%. Mahlati says that the economic dilemma faced by South Africa is that what drives growth is not always good for jobs, or for reducing inequality. “An example of sectors that are good for growth but not for job creation is mining, exporting management services and high skill service exports. Sectors that are conducive for both economic growth and employment are labour intensive sectors such as manufacturing and mid-skill service exports. The topic was also largely discussed by other speakers at the two day summit. According to Dr Mathew Phale, Senior Manager of Group Capacity Development at Transnet, Vision 2030 and the New Growth Plan will take care of short-sighted strategies spanned over five years that never reach their full extent of implementation, due to changing government priorities and / or organisational strategies or changes at leadership levels. 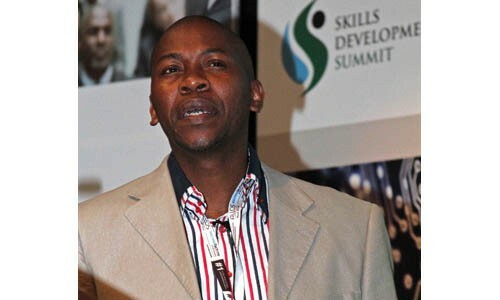 Phale says that in order for South Africa to achieve the goals outlined by Vision 2030 and the New Growth Plan the country needs to build the skills level ahead of demand, which is where we are currently lagging behind. “A responsive approach to business requirements is also imperative. There must be clarity on what type of skills are required by specific sectors. These skills should then be built into primary and secondary school curriculums, thereby ensuring businesses’ needs are met and the correct skills sets are developed. Most importantly, our plans must be simple, practical and easy to manage. We need to have a grip and a handle on this Vision,” says Phale.